The Family Business of the Year award will be awarded to an established family businesses that can demonstrate an outstanding entrepreneurial family leader who has demonstrated the ability to successfully balance business and family issues, growing the business and taking responsibility for others by their philanthropic or social engagement. Thank you for completing our application form. To ensure the judges get a clear understanding of your business please send a short video (maximum 2 mins) telling us about your business. We are looking for a brief overview of your business and your environment. This can be a simple video filmed using your phone. Please either WeTransfer this over to laurafrost@clarkenicklin.co.uk or WhatsApp to 07521 577 580. Make sure you are eligible to enter by checking the ‘Am I Eligible to Win’ section in our FAQ to make sure the business you are entering has a postcode which falls within the boundary of the Stockport borough. All entries must be completed using an official Stockport Business Awards entry form to be judged. Incomplete entries will not be judged. Entries are free and must be received by 5pm on Friday 21st June 2019. Once an entrant has been announced as a shortlisted company it cannot withdraw from the process. The person’s whose name is on the entry form as “Contact Name” will be the permanent contact throughout the course of the awards program, and will receive all correspondence, including receipt-of-entry and winning-entry acknowledgements. In July 2019 the official SBA judging panel will consider nominations and oragnisers will publish the shortlists for each award prior to the awards ceremony. The awards team will contact all entrants to inform them if they have/ have not been shortlisted. The awards will be judged according to the criteria for each category. Stockport Business Awards is not liable for any costs incurred by candidate organisations during the entry or judging process. Once the shortlist is published, organisations that have made the shortlist may publicise this fact (including using the official awards logos as provided by a representative of Stockport Business Awards) but can only do so with written permission from the awards organisers and in accordance with the policies issued. A follow up visit by representatives of the Organisers of Stockport Business Awards may be required as part of the review process. Visits will take place from June-September at a time and date TBA. If it is found that any entrant has knowingly provided false information on their application for their entry, Stockport Business Awards reserves the right to withdraw any entry at any time submitted by that organisation. The award winners will be announced at the gala dinner taking place at Stockport Town Hall on Thursday 10th October 2019. Winners agree to participate in post event publicity if requested to do so. If in the opinion of the Organisers a nomination is reasonably likely to cause material damage to the reputation of Stockport Business Awards or any of its sponsors, the Organisers shall at its sole discretion choose to disqualify that nomination. 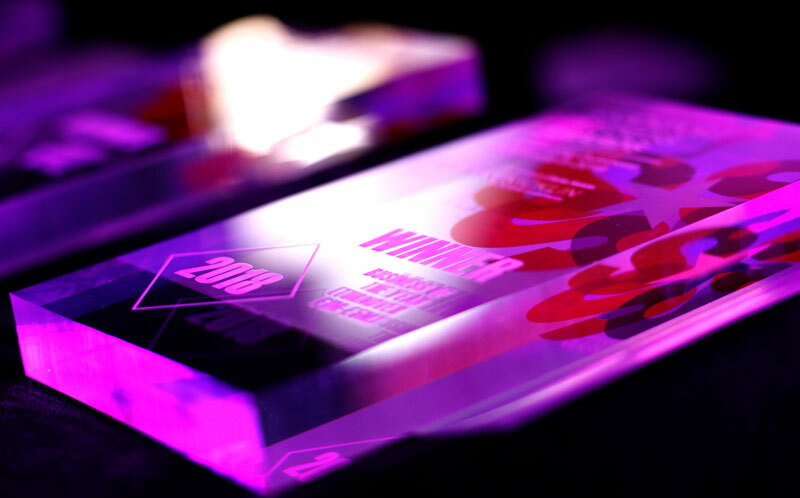 Organisations may be short-listed for more than one award and the appropriateness of the category in which it sits may also be examined by the judges. Organisations cannot enter for an award if they are a sponsor. The Stockport Business Awards will retain copies of all entries. Winning entries may be used in order to give feedback or as an example to other entrants if requested. The Organisers or the judges may disqualify any entry that does not adhere to the rules. No nominee shall engage in any activity that may damage the integrity of the awards scheme or ceremony. Any such actions shall be raised with the Stockport Business Awards who will take any decision on disqualification. The Stockport Business Awards decision with respect to disqualification is final. The decisions of the judges will be final and will not be subject to any appeal. All entrants must agree to be bound by them. By entering Stockport Business Awards an organisation is committed to buying at least one ticket to the awards ceremony if they are shortlisted in order to send along a representative who will receive the award if the organisation wins. Winning companies must be in attendance and if a winning company does not buy tickets Stockport Business Awards reserves the right to drop that company to second place and present the award to the company which originally came in second place. By entering or agreeing to participate in the Stockport Business Awards, all entrants agree to the above terms and conditions. Entries are free and must be received by 5pm on Friday 1st June 2018. In June 2018 the official SBA judging panel will consider nominations and oragnisers will publish the shortlists for each award prior to the awards ceremony. The awards team will contact all entrants to inform them if they have/ have not been shortlisted. The award winners will be announced at the gala dinner taking place at Stockport Town Hall on Thursday 11th October 2018. Winners agree to participate in post event publicity if requested to do so. Every winner and finalist gains from regional exposure through a co-ordinated PR campaign before and after the event. In addition, a presentation of all finalists will be shown on the evening which can only result in a raised profile among some of the most influential people in the region from the public and private sectors. Show your team that you care. Achievements can be easily forgotten in the hustle and bustle of business life so completing the entry form allows you to reflect on who’s contributed to your success. Creating the right impression with your team, clients, partners and investors has never been so important. With objective and robust judging the Awards provide credible third party endorsement of the success of your business. And the very fact you’ve entered proves that you’re proud of your successes and highlights your commitment to excellence. To be eligible to win an award a company MUST have a postcode which falls within the boundary of the Stockport Borough.